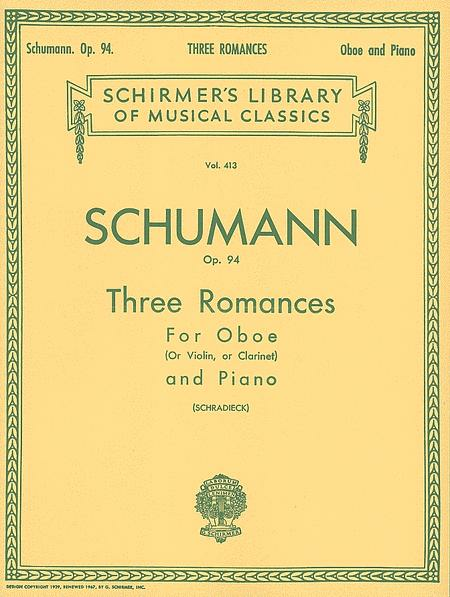 (Score And Parts) Composed by Robert Schumann (1810-1856), arranged by Henry Schradieck. For oboe (or violin or clarinet in A). Includes set of performance parts (includes separate pull out parts for violin or oboe and clarinet). With solo part and piano accompaniment. Romantic Period. 22 pages. 9x12 inches. Published by G. Schirmer, Inc.